Hand Polish 4 Piece Silver with Gold Plated Buckle set with Basket-weave pattern. Diagonal 1/2 stitch pattern leather in the center from the belt strap. Western Dress Casual look Genuine Leather Belt. 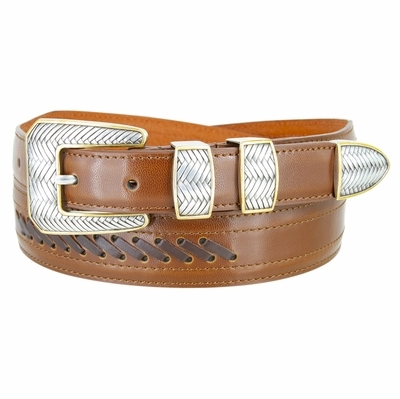 This Belt is 1 1/4" wide tapering down to 1" at both ends.